Many people make a living from blogging, others use it as a way to get higher rankings on search results, retailers use it to promote their products and online stores. If you think for a moment what is actually the Internet, you will realize that a big part of it it’s just a collection of blogs either in the form of text, images or video. Go to Google or Bing and search for any keyword you want and look at the results. 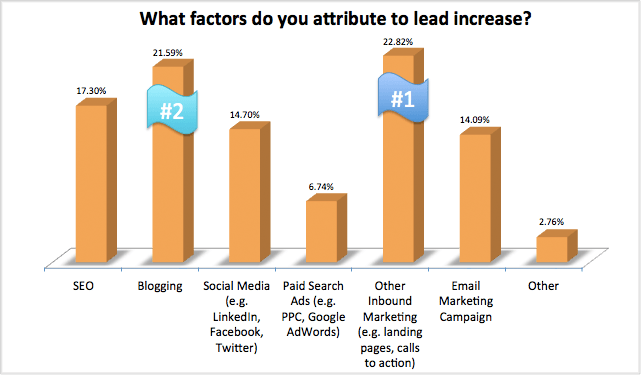 Most of them lead to blog posts either on personal blogs, corporate blogs or online publications. To say it simply, if you are able to produce good content fast, with the right plan and SEO strategy you can get your share of those searches despite the competition or difficulties. And this is exactly the purpose of this post. To help you understand what is effective blogging and how to become an effective blogger. 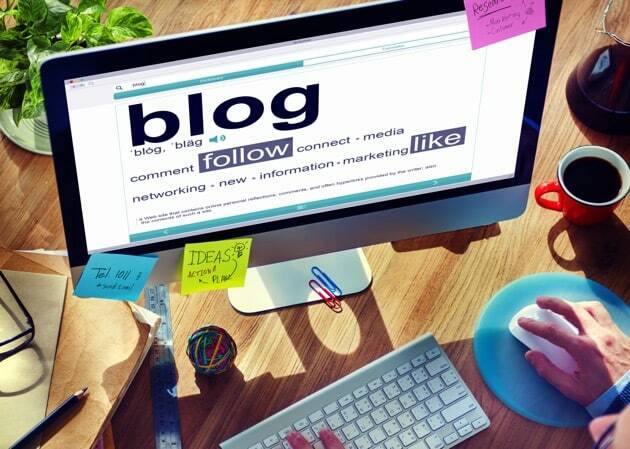 Why should you blog? What is the purpose of having a blog? This may sound obvious but many times people start a blog for the sake of having a blog without really thinking what they want to achieve from their blogging efforts. This is a popular one. You start a blog, publish great content, get traffic and then monetize it using adsense, affiliate marketing or otherwise. It sounds like a statement coming from the 90’s but it still works and it is one of the most popular ways to utilize a blog. Those that still find it hard to believe, don’t forget that this is how huffingtonpost, mashable, ehow and other great websites started in their early stages. Whether you are selling products or services online (or offline), blogging is one of the most effective ways to generate leads. Through blogging you can ‘communicate’ with your potential customers, convince them about the effectiveness of your products or services and win that sale. Want to raise brand awareness by generating more traffic to your website? Ask any expert to answer this question and you will see that all of them will agree that blogging is the way to go. The three examples above cover almost all blogging purposes but what is important for you to do before getting into blogging is to decide your main goal because this can change your approach. If you are blogging for traffic you need to blog more often and on trending topics. The most time consuming part of blogging is obviously the content creation process (i.e the writing), before that and in order to make writing easier, you need to do your research. What you want to find out at this stage is what others are writing about the topic. What titles they are using, what kind of content and generally what Google considers to be good content for that topic. Take a few minutes and analyze the results on the 1st page of Google, open the websites in new tabs and read through the blogs. Are there any similarities in the content? Do you notice any particular pattern? Remember that your goal is to make your blog better and this is the time to start thinking of ways to differentiate your content from what is already published about the same subject. If you find something that you like i.e. a particular heading, reference or point, open a new document and start taking notes. Now that you have a good idea on what is written about the topic, your next task is to come up with a title. Your title ideally has to serve two purposes: to be catchy so that users would like to click and read and SEO friendly so that you have more chances of achieving higher rankings. After I decide the general keywords I would like to target in my article, I start to search Google for the particular keywords and taking notes of the suggestions that Google gives while typing in the search box and the ‘Related Searches’ they display at the end of each page. I then take the most related and check them in SEMRush to find out their difficulty and other similar long-tail keywords. Read the part about keyword research in my SEMRUSH review for a hands on example. The next step is to narrow my selection into one or two candidates and then I start thinking of how the actual title would look like. The last step before making the final decision is to do another search on Google using the complete title. What I want to find out is the type of websites that rank for that title and especially their domain authority (Hint: using SEMRush). If the first positions are occupied by high authority and really big websites, this narrows the possibilities of my blog post to achieve good rankings regardless of how good I can make my content. I know that this sounds confusing (the more experienced can understand what I mean), but it is important to invest your blogging time in titles or keywords that you can get your traffic. If this is the case then I further tweak the title by changing or adding words so that I will have to compete with less authority websites. Pro Tip: Read How to create SEO friendly Titles for more examples and step-by-step instructions. Once you have the title ready and optimized it’s now time to create the post outline. By outline we mean to decide for the different headings the blog post will have and what each blog section will cover. Making a good outline from the beginning will save you a lot time later since all you have to do afterwards is to create the content for each heading. It is easier to write 500 words to cover a subheading than trying to write 3000 words with no ending. Depending on the post length, you can have different headings ideally for every 500 words. This also makes reading easier especially for those that like to do skim reading. A Greek philosopher once said that “Well begun is half done” and this is true when it comes to writing the introduction of your blog. Once you write the introduction and get the ball rolling, the rest goes faster and smoother (provided of course that you know your topic and have a good idea on what to write in the body of the article). When I write the introduction for my blog posts, I try to make them short (2-3 lines) and explain what the post is all about. I know that this is not my strongest point but I try to improve by continuously experimenting with different ways of writing the introduction. For sure it takes a good amount of my time but once the introduction is ready, the body of the post is easier to write (especially if you have created a good outline as explained in step 4). What is good to do in your introduction is to add your keywords (or related) in the first 160 characters of the post but without doing keyword stuffing or making sentences that don’t make sense. For example look at the introduction of this post and notice how I added my target keywords “how to blog effectively” in the first sentence. I also tend to use parts of the introduction as the meta description of the page so the time it takes to write the introduction servers this purpose too. Size does matter. 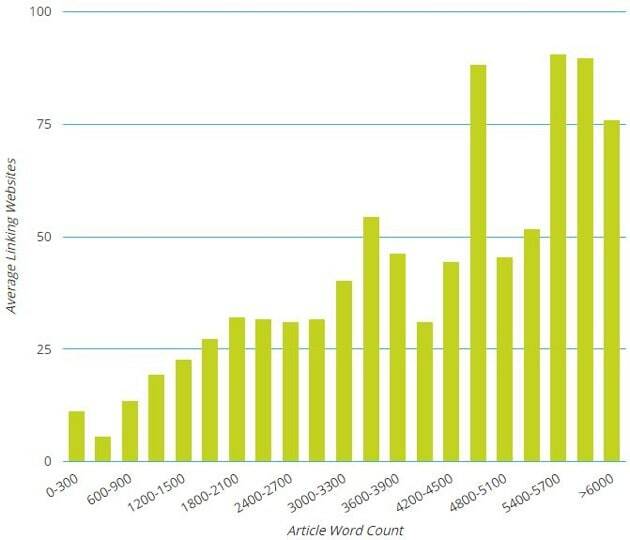 Many studies and surveys show that longer posts perform better in search, social (they are more shareable, likeable) but also in different publishing platforms i.e. linkedin posts or buzzfeed. Many people ask, ok the longer the better but how long should a blog post be? The simplest answer is to search Google for similar articles and count the number of words of each blog post that appears on the first page of Google. This may not be a scientific way to find out the ideal word length for your topic but it’s an easy way to find out what Google wants. Calculate the average number of words and make yours longer and more insightful provided that it makes sense and that you have something more to say that will add real value to the content. SEO is a huge subject but when it comes to article writing, you don’t have to be an SEO expert to get the basics right. All you need is to be familiar with basic on-page SEO concepts. are important to get your content indexed and understood by search engines. You created a catchy title and wrote a nice post, what’s next? Your job is not finished yet. Throwing words (even if they are quality words) on a page will not get you far. What you need to do is make sure that your posts look good too. Make use of bold and italics to highlight important points, make subheadings bigger, make links easily identifiable, add images where applicable to show statistics or highlight a point, add external links to help users learn more about a subject (or verify a statistic or study). All these small things can make your posts easier to read, more professional, more social and it can even keep readers longer to the page and actually read the article since they like what they see. Let’s face it, you cannot be a successful blogger or run a successful website if no one is reading, sharing and commenting on your posts. It’s a bad feeling to spend hours to prepare a post and end up in the Internet recycle bin. What you can do about this? The encouraging news is that they are proven ways to get your blog noticed. You can use advertising, social media, guest posting, content distribution, email marketing and many other methods to get your hard written masterpiece in front of many eyes. Don’t consider blog promotion optional but something you ‘have to do’ as part of your blogging process. Unless you already have a big readership and followers, no one will care about your new post until you bring it in front of their screens. Inform other fellow bloggers by email that you have published a new post. Consistency will help you create results (i.e. traffic) to your blog faster. I am not very consistent in publishing new content for this blog and that’s why traffic is increasing at low levels, but on other blogs that I have done this on a steady basis, traffic has gone to more than 400K visits per month. There are some rules to follow related to how frequently you should publish new content but as a general guide, websites or blog that are updated with fresh, unique and relevant content perform better (in many aspects) than other websites. Search engines and social media platforms are constantly searching for new content (this is what their readers want) and providing them with what they want, you increase your chances of getting noticed either organically or socially. Blogging is a vital process in Digital Marketing. Users, search engines, social platforms, content networks need new content all the time. Good content takes a lot of time to be created that’s why it is important to be in position to produce good content fast. If you cannot do it fast then the costs go high (even if you are only counting your own hours) and makes it a non-profitable task. What I described above are the 10 steps I follow every time I write a new post to make my blogging effective and I hope it will help you make the same. Drop a comment below, if something is not clear or if you need more clarifications about any of the points raised in this article. very helpful guide, could you kindly reply me of my question, Does internal linking with same anchor text leads to any penalty ? thanks and hope to see your reply soon. No, there is no anchor text penalty when it comes to internal linking. Google confirmed this many times in the near past. Totally agreed with the fact that one should maintain consistency and keep there content refreshed, but the main concern is , How to maintain it? Do i need to post on daily basis?